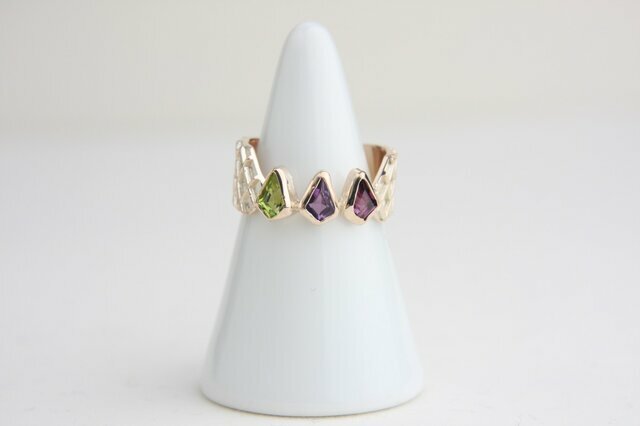 This one of a kind 10K ring is set with three, uniquely colored, crown shaped stones. Wearing this ring, one can add a hint of beauty and sophistication. This glamorous ring adds a light a touch of beauty to any finger.